A major conference on soil health will be held at the Event Center on the Boone County Fairgrounds in Albion on Wednesday, Sept. 6, 2017. 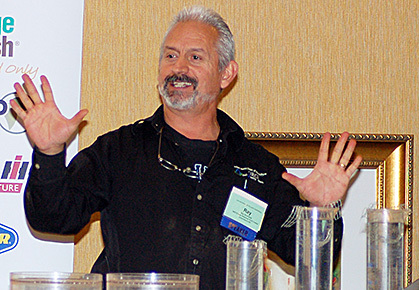 Ray Archuleta, known as “Ray the Soils Guy,” will be the featured speaker. He is a farmer, no-till expert and regional soil health specialist for the Natural Resources Conservation Service. Archuleta will discuss the ecological soil health benefits of a systems approach to no-till, residue management and cover crops. Archuleta, who is retiring from his role within NRCS this summer, will continue his work with soil health in a private consulting firm and hosting soil health academies with fellow soil health experts Gabe Brown, Allen Williams and Dave Brandt. All area producers are advised to contact the Boone County Extension office, 402-395-2158, to reserve their spot, as space will be limited. The program will also feature a trade show with 20 vendors. At the start of the day, each vendor will have two minutes to describe his or her company and product. Nebraska NRCS will give a 30-minute update on highly erodible land conservation and wetland conservation compliance requirements. A panel of six Boone County area farmers will discuss their experience with no-till and cover crops over lunch. Read more in the Aug. 2 Albion News Print & E-Edition.